Introduced specifically for the growing standup paddle board market, Malone Auto Racks HR20 provides a simple solution for transporting one or more boards on a bare roof. Constructed of reinforced nylon for years of service. Featuring steel D-rings that serve as solid anchor points for safely securing the boards. Installation is quick and simple with no hardware to fit. Introduced specifically for the growing standup paddle board market, Malone Auto Racks HR20 provides a simple solution for transporting one or more boards on a bare roof. Constructed of reinforced nylon for years of service. Featuring steel D-rings that serve as solid anchor points for safely securing the boards. Installation is quick and simple with no hardware to fit. When not in use, these racks can be conveniently stored away in the trunk. 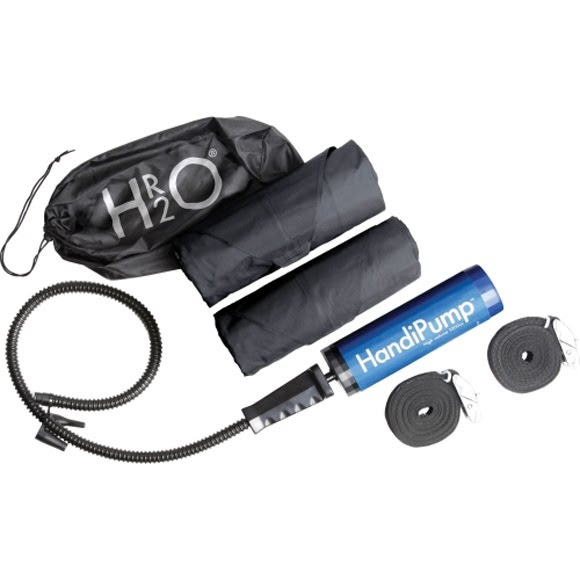 Includes 1000cc double action air pump, load straps and a tote bag. Dimensions Dimensions when inflated: 29" x 6" x 4"